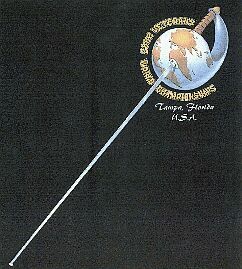 Veteran fencers from around the world competed in the Veteran World Championship, in Tampa, Florida (USA) August 31 through September 1, 2002. 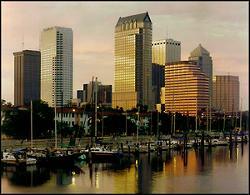 The location for the event was the Hyatt Regency in the heart of downtown Tampa. The bouts took place in the ballroom,with six strips for prelmininaries,four for the direct eliminations and one for the finals. Results of the competition can be seen at the bottom of this page. We will have photos up within the next two weeks. Please check back. PAST PARTICIPATION IN VETERANS WORLD CHAMPIONSHIPS: Those who participated in the Veterans World Championship were in good company. Here are some interesting statistics concerning participation in the previous Veterans World Cups. The Veteran World Championship was sponsored by the Tampa Bay Sports Commission, and the Florida Sports Foundation. The organizers of the Veteran’s World Championship would like to thank everyone who supported their effort by donations of money and time. They also express their thanks to the many participants in the tournament. All of these people helped to make it a great success. THANK YOU. To visit the website for results of the 2001 World Veteran Fencers Championship held in Martinique, CLICK HERE.